netUP was formally established in 2008 and have combined experience of more than 40 years in the data transfer field. We have a team of dynamic, passionate people who are extremely customer focussed. All software is locally developed in South Africa. In accordance with South African legislation we are fully BEE compliant. Driven on the back of our core values we want to be the preferred provider of automated connectivity for all types of businesses, from large to small. We have a current established client base across the spectrum. We provide any size business with a tailor-made solution that is robust to perform, monitor and manage secure inter-business data transmission. netUP provides the nuMotus software suite that consists of four products. netUP nuMotus Direct (for installations and direct management and monitoring at the client site – use by larger organisations); netUP nuMotus Cloud (for monitoring and management remotely via the internet cloud – used by medium – and small organisations); netUP nuMorus fileUP for ad hoc transfers and netUP nuMotus nuView for credit card mechant data. More information available under the PRODUCTS section. We can also provide managed services solution, for larger organisations, where we not only install the nuMotus Direct platform, but actually put the staff on-site to run and managed the process on their behalf. 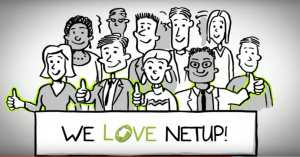 At netUP we also have an accomplished development team for any type of development.